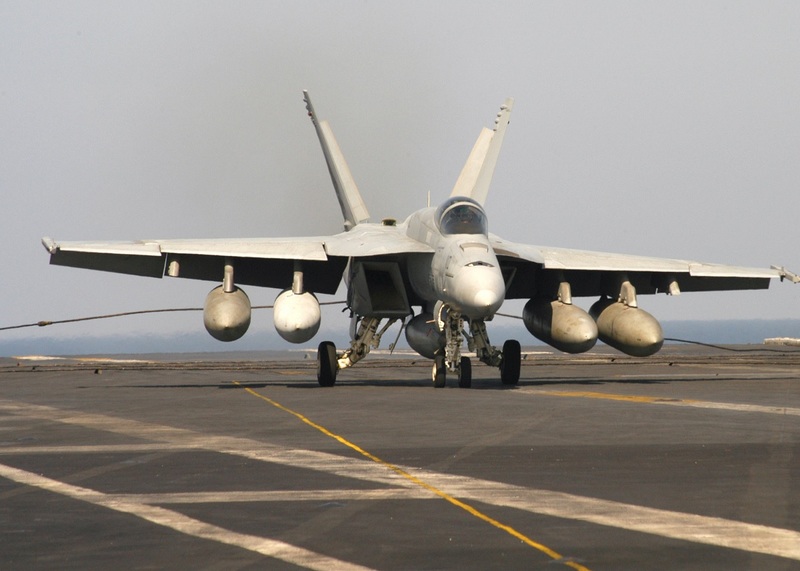 A Defense Contract Management Agency (DCMA) Boeing St. Louis pilot recently delivered the 300th F/A-18E single-seat variant Super Hornet to the U.S. Navy. As explained by Thomas Perry, DCMA Public Affairs, in the article DCMA Boeing St. Louis lands key milestone, while just one person sat in the cockpit, leadership credits this delivery milestone to a collective effort, which was accomplished by an integrated team of flight operations, contracting, manufacturing, engineering, quality assurance, finance, information technology, program management and other support functions. 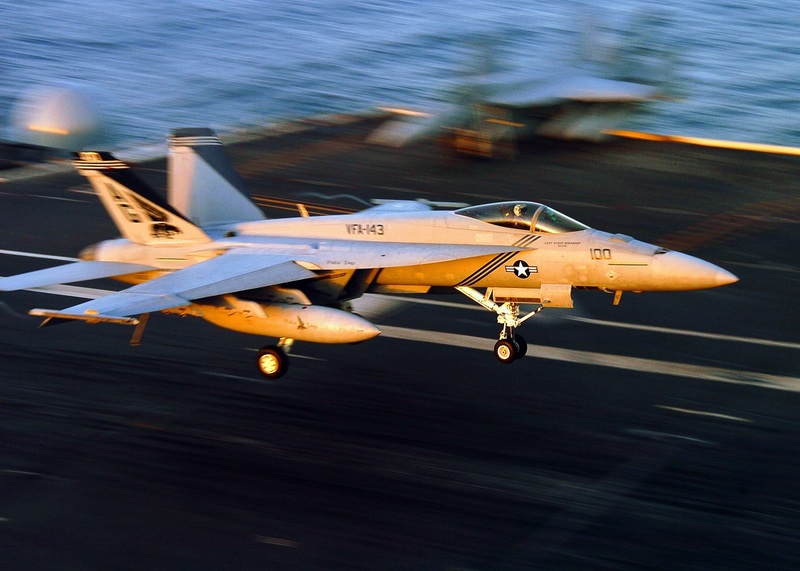 A few of its first flight hours were spent en route to Naval Air Station (NAS) Oceana, Virginia, where it was accepted by the Pukin’ Dogs of Strike Fighter Squadron 143 (VFA-143). According to its website, NAS Oceana is the Navy’s East Coast master jet base, home to F/A-18 Hornets and Super Hornets. The station’s primary mission is to serve as a shore-based readiness integrator, providing the facilities, equipment and personnel to support shored-based readiness, total force readiness and maintain operational access of Oceana-based forces. Navy Lt. Cmdr. Daniel Bellinghausen, who piloted the 300th Super Hornet to Oceana, is one of those trusted DCMA professionals. “It is an honor to know I was the person who took the last step in providing the Navy fleet with a much needed aircraft that is immediately capable to going into combat,” said Bellinghausen, a DCMA Boeing St. Louis alternate government flight representative. The Super Hornet has served a front-line role since it entered Navy service in 1999. According to the Naval Air Systems Command, the multi-role strike fighter was built on the nation’s first strike fighter, the F/A-18 Hornet. Today’s F/A-18E/F Super Hornet is an attack aircraft as well as a fighter through selected use of external equipment and advanced networking capabilities to accomplish specific missions. This most recent milestone comes just a few months after DCMA Boeing St. Louis delivered its 150th EA-18G Growler to similar warriors at Naval Air Weapons Station China Lake, California. The Growler is a variant of the F/A-18F Super Hornet Block II. It is considered a carrier-based, electronic warfare aircraft. This variant is less than 10 years old, but it and the Super Hornet are derivatives of the original F/A-18 Hornet. For the Naval warfighter, this delivery adds a “capable and lethal aircraft” to its fleet. For DCMA Boeing St. Louis, new challenges lie ahead as work on the Block III Super Hornet is expected to begin in 2019. And for Bellinghausen, the 300th delivery ended unceremoniously. He went from cockpit to coach in less than 24 hours. “My travel home is the least exciting portion of my delivery, I organize it through the Defense Travel System and book a flight via commercial air,” he said.